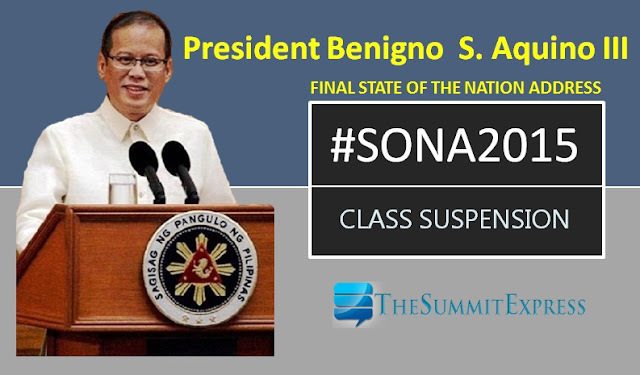 MANILA, Philippines - The Department of Education (DepEd) officially announced on Thursday the list of schools where class suspensions were declared in view of the forthcoming State of the Nation Address (SONA) of President Benigno Aquino III on Monday, July 27, 2015. 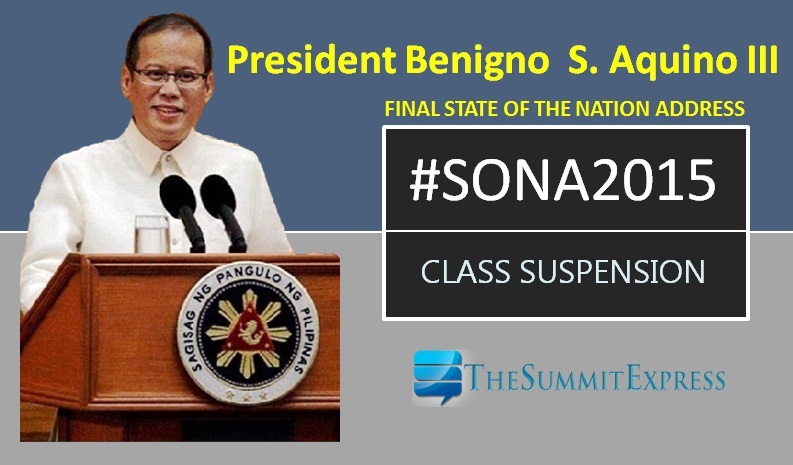 At least thirty two (32) public schools (Elementary and Secondary) in Quezon City have classes suspended to avoid traffic congestion in the areas surrounding the House of Representatives (Batasan Pambansa). July 25, 2015 Update: Mayor Herbert Bautista on Saturday, July 25 announced class suspensions covering all levels in Quezon City to lessen traffic and security threats on the part of enforcers.